Create What You Love Without The Hassle. Let’s face it, you signed up for ArcGIS Online to do the fun stuff like create maps, apps and show off your GIS-worthiness. Not to get bogged down with administrative tasks and maintenance on the backend. 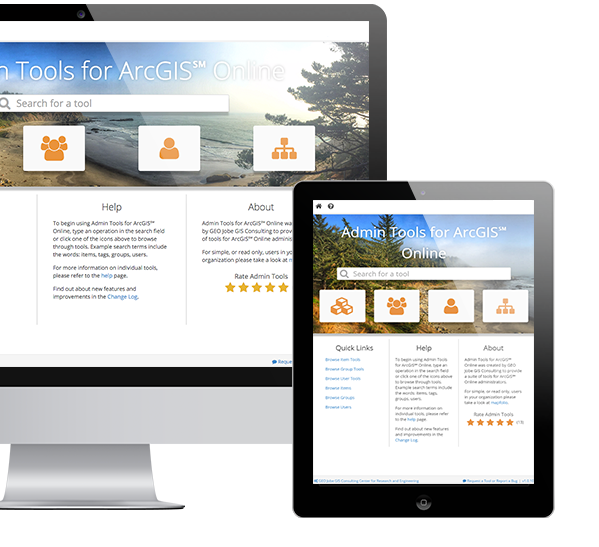 Admin Tools for ArcGIS℠ Online is a suite of tools for the Administrator who has too much to do with too little time to do it. We offer three versions of Admin Tools – Free, Pro and Portal. The version you need depends on how much control you want or think you can handle. All three minimize time spent on critical administrative tasks to get you back to what you do best.  * For operations that involve actions performed on other ArcGIS Online organization accounts, such as cloning and csv import to another account, both Source and Destination organizations must have a Pro License. 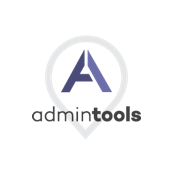 See how clients use Admin Tools to minimize administrative workload, maximize efficiency, and make time for what they do best.